Kitchen Table Web Design specialises in affordable, professional website design. We can help you improve your existing website with a redesign or create a new website. A beautiful, well-maintained website is essential. We offer Website Maintenance and Care Plans to give you peace of mind. These include backup, security and monitoring as well as support takes and updates. 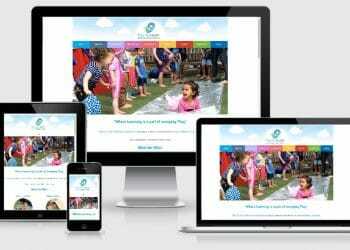 Play to Learn Early Learning Centre came to wanting a redesign for their early childhood education website and well as improve their Search Engine Optimisation. Building strong reciprocal relationships with the child and their whanau in a positive, emotionally safe environment. Embracing the Maori culture and language. The bright rainbow menu and the incorporation of some unique New Zealand elements in the design of the website reflected their desire to embrace a dual heritage. I also provided custom video tutorials so staff can add regular blog posts. 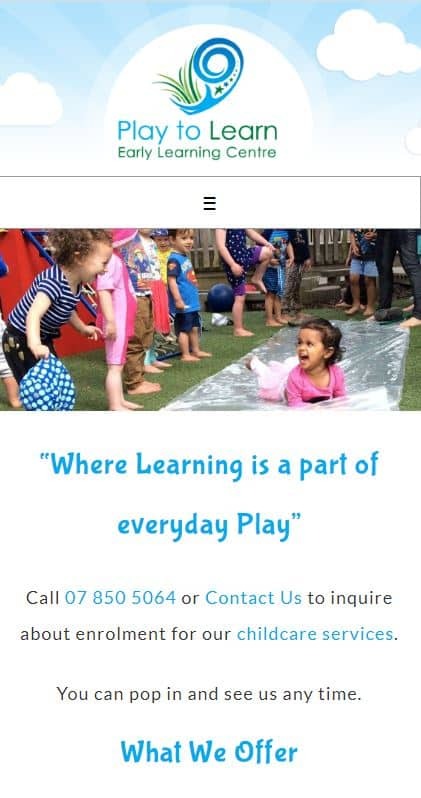 We enabled Play to Learn Early Learning Centre to improve their online presence through on-page optimisation and optimising their Google My Business Page as well as review funnel. They maintain a very active Facebook page. At the time of writing, they rank #1 for childcare in their suburb competing with a number of other centres and enjoy a waiting list.